OWN is heading back to Louisiana. Today, the network announced season three of Queen Sugar will premiere in May. From Ava DuVernay, the drama chronicles the lives and loves of the estranged Bordelon siblings, who must come together to try to save the family sugarcane farm in the aftermath of a tragedy. The cast includes Rutina Wesley, Dawn-Lyen Gardner, Kofi Siriboe, Tina Lifford, Ethan Hutchison, Nicholas L. Ashe, Omar J. Dorsey, Dondré Whitfield, Timon Kyle Durrett, Greg Vaughan, and Marycarmen Lopez. Season three of Queen Sugar launches on OWN with a two-night premiere beginning May 29th at 10 p.m. ET/PT. Los Angeles – “Queen Sugar,” the critically acclaimed drama series from Academy award-nominated filmmaker Ava DuVernay (“A Wrinkle in Time,” “13th,” “Selma”), executive producer Oprah Winfrey and Warner Horizon Scripted Television, returns for its third season with a two-night premiere event on OWN Tuesday, May 29, and Wednesday, May 30 (10 p.m. ET/PT each night). The series will regularly air Wednesday nights at 10 p.m. ET/PT. Continuing a creative initiative established in the show’s first season, series creator/executive producer DuVernay has once again assembled an all-female directing team for the third consecutive season. Season 3 directors include DeMane Davis, Patricia Cardoso, Shaz Bennett, Maria Govan and Lauren Wolkstein, several of whom will be making their television directorial debut, with additional names to be announced. · DeMane Davis: DeMane Davis returns to season three of “Queen Sugar” as a producing director having previously directed episodes of the series in season two. Davis has written and directed commercials and independent films. Her two feature films premiered in Dramatic Competition at the Sundance Film Festival, including “Lift,” starring Kerry Washington, which was nominated for two Independent Spirit Awards. Davis currently directs commercials for Sweet Rickey, a female-helmed production company. · Shaz Bennett: Shaz Bennett was one of eight women selected into the prestigious AFI Directing Workshop for Women and winner of the New York Women in Film & Television’s Nancy Malone Award. Bennett’s debut feature “Alaska Is a Drag” is currently on the festival circuit. Bennett first television writing job was on “The Glades.” She later joined the writing team for “UnReal” and currently writes on the police procedural “Bosch.” “Queen Sugar” will mark Bennett’s television directional debut. · Maria Govan: Maria Govan’s award-winning film “Rain” premiered at the Toronto Film Festival in 2008 and later licensed to Showtime Networks. Maria’s second feature “Play the Devil” premiered at the Los Angeles Film Festival in 2016 and was selected for the Caribbean spotlight at Latin American film market Ventana Sur in Buenos Aires and also Panama Film Festival’s Primera Mirada. The feature is set to be released in May. Govan is currently in development on her next projects, “My Life in a Dojo” and “Epiphany.” “Queen Sugar” will mark Govan’s television directional debut. · Lauren Wolkstein: Lauren Wolkstein’s short film “Cigarette Candy” received the SXSW Grand Jury Prize in 2010 and her award-winning short film “Social Butterfly” premiered at the Sundance Film Festival in 2013. Wolkstein co-directed short film “The Strange Ones,” which debuted at Sundance and SXSW film festivals in 2011. The film was adapted into a feature film of the same name and premiered at SXSW in 2017. Wolkstein was previously named one of the top twenty-five emerging filmmakers through The Film Society of Lincoln Center and the Independent Filmmaker Project’s inaugural Emerging Visions program at the New York Film Festival. 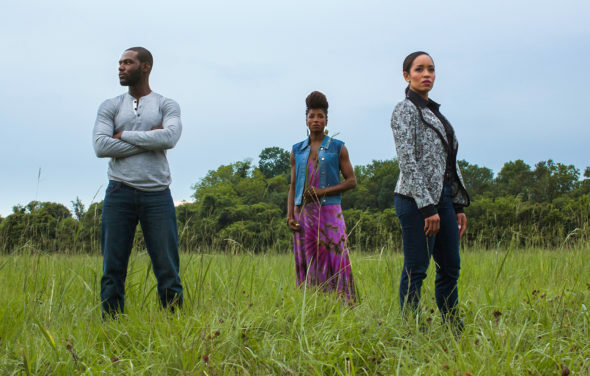 “Queen Sugar” will mark Wolkstein’s television directional debut. What do you think? Are you a fan of Queen Sugar? Will you watch the new season? More about: OWN TV shows: canceled or renewed?, Queen Sugar, Queen Sugar: canceled or renewed?